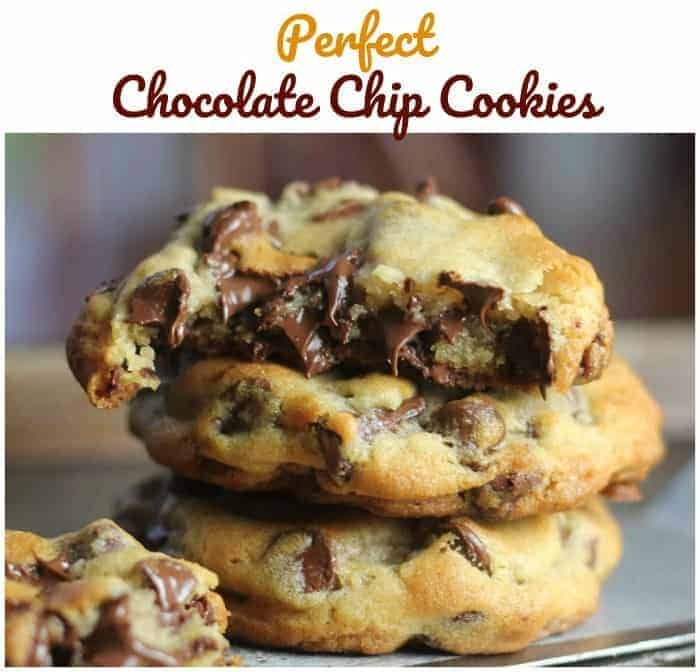 Baking it Easy, Cookie, Brownie & Chocolate Obsessed! 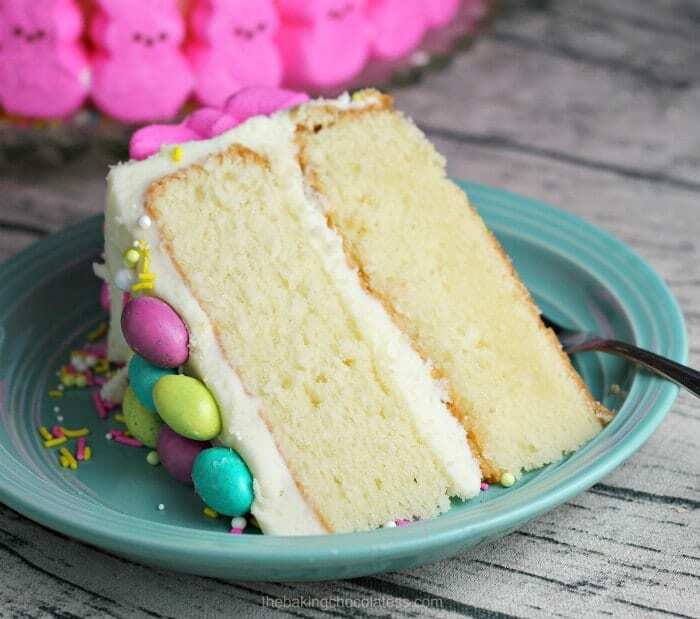 This Easy To Decorate Easter Bunny Cake is a must for your Easter display table of goodies! 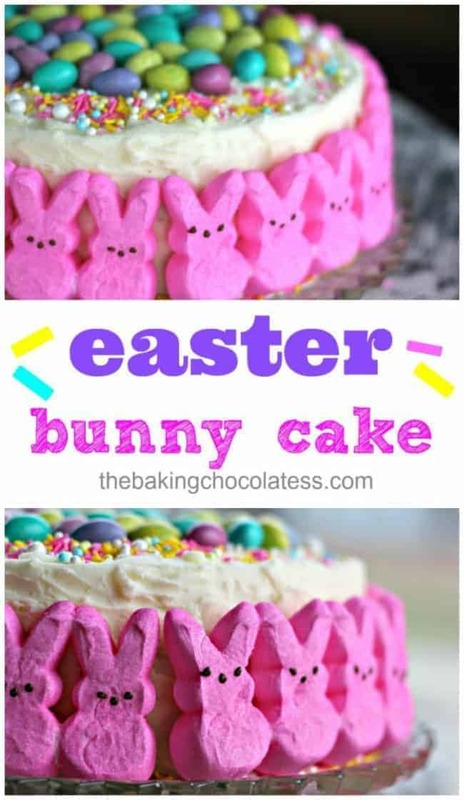 This is one super, cute bunny cake and I love that it’s so easy to assemble. I love marshmallow. But then again, what sugary thing don’t I like? 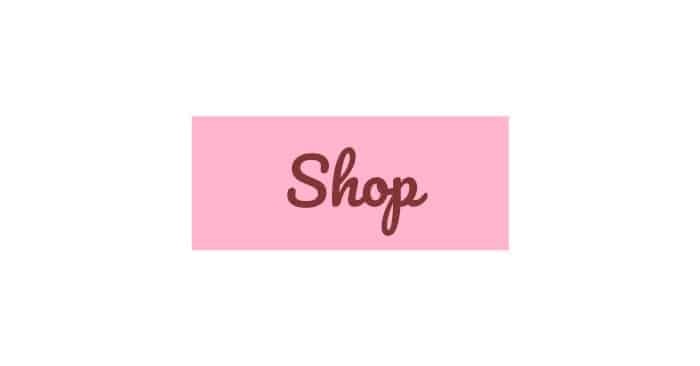 Affiliate links are used on this post only for products that I personally use and recommend. See my non-disclosure for more information. So, here we go. 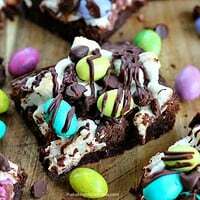 You get m&m chocolate eggs , sugary peep marshmallow bunnies , festive sprinkles , double layer cake and vanilla buttercream frosting all in one luscious slice of Easter delight! You can get all these products at your nearest Kroger too! The whole family will love it! If you wanted to cheat, in a pinch you could even buy a cake already frosted and add all the baubles. 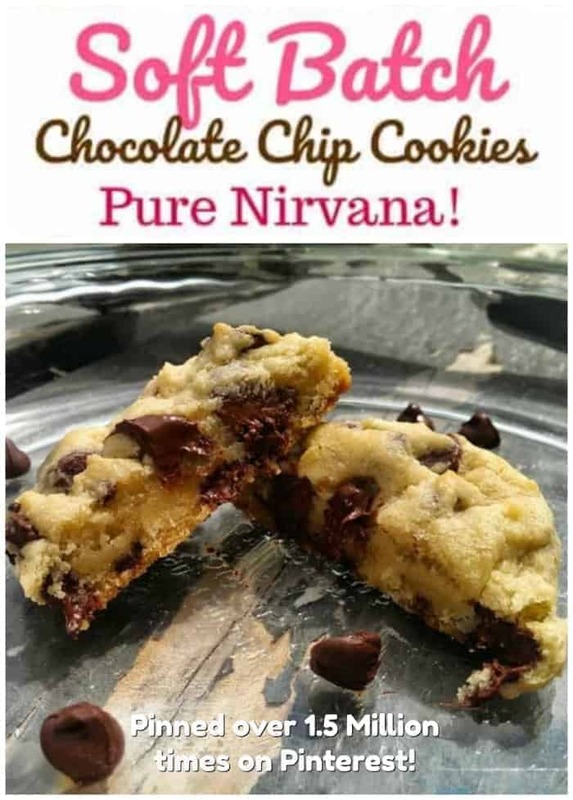 No one would care or know and it will taste great! 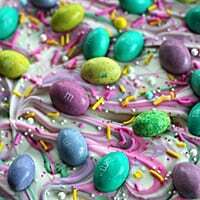 You can use a cake mix or make a scratch Super-Moist Vanilla Cake with Vanilla Buttercream Frosting. 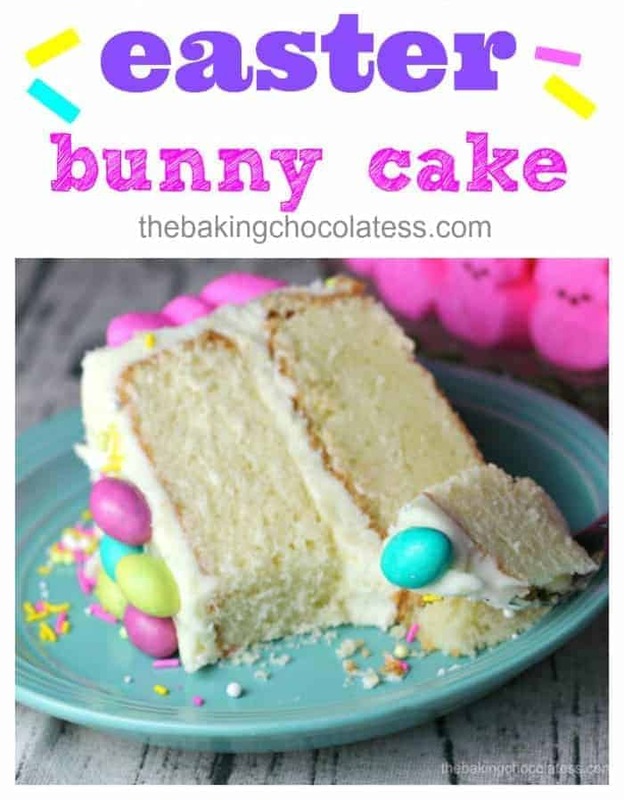 Easy to assemble Easter Bunny Cake for your Easter! 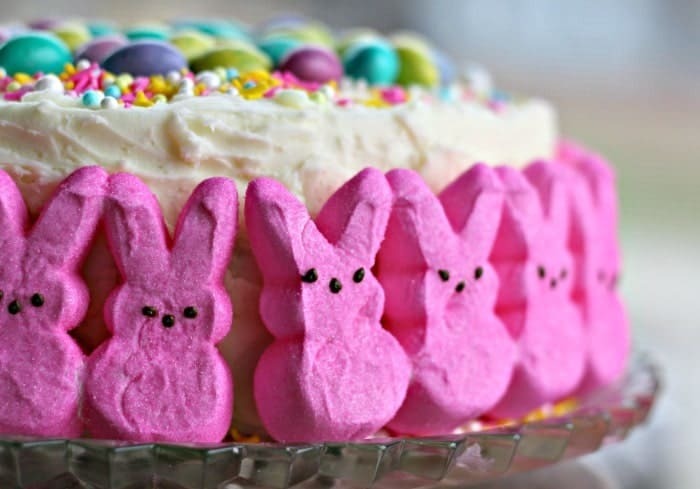 Unwrap marshmallow bunnies and place around the cake. Use extra frosting on back side of bunnies if they aren't sticking for glue. 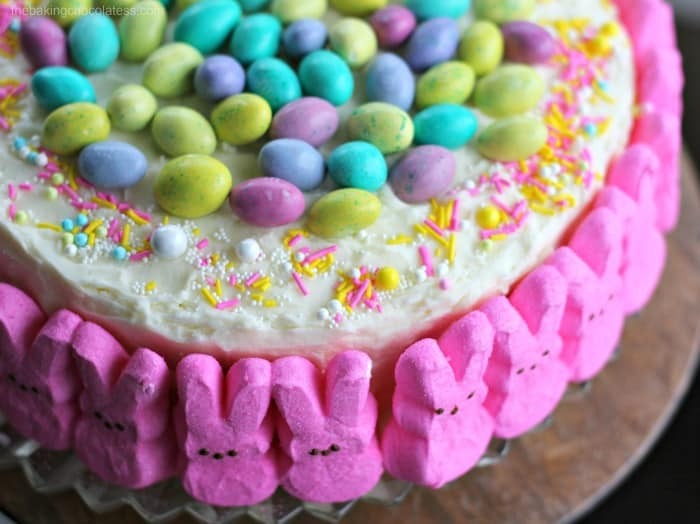 Add sprinkles on top of cake and add eggs to center of cake. Done! 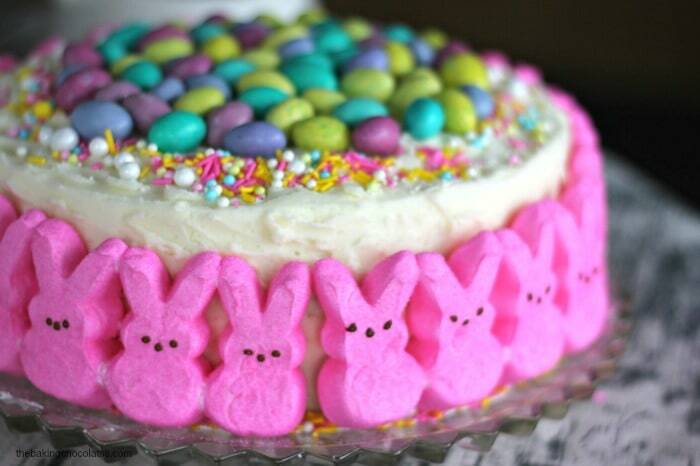 This has to be the cutest, most Easter-y cake I’ve ever seen, Kim! 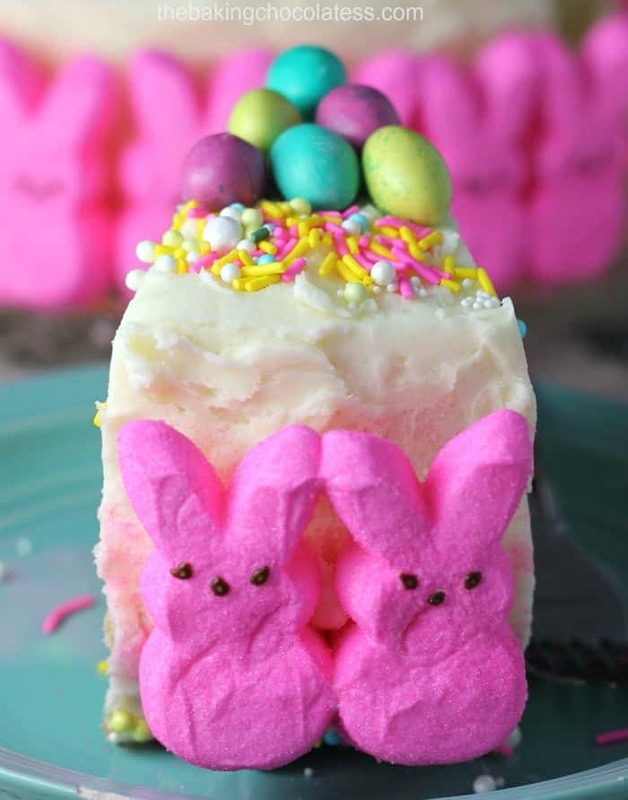 I honestly don’t even know if I could cut into it. . .but I love peeps too, so I’d probably find a way :). Aww!! Thank you Kelsie! So sweet! It’s so pretty. 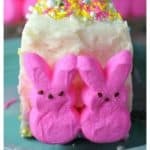 Being a Brit I didn’t know what Peeps were, now I do! Can a say a big thank you for all the great recipes I get every week by email. Have made some and drooled over others. This is adorable! 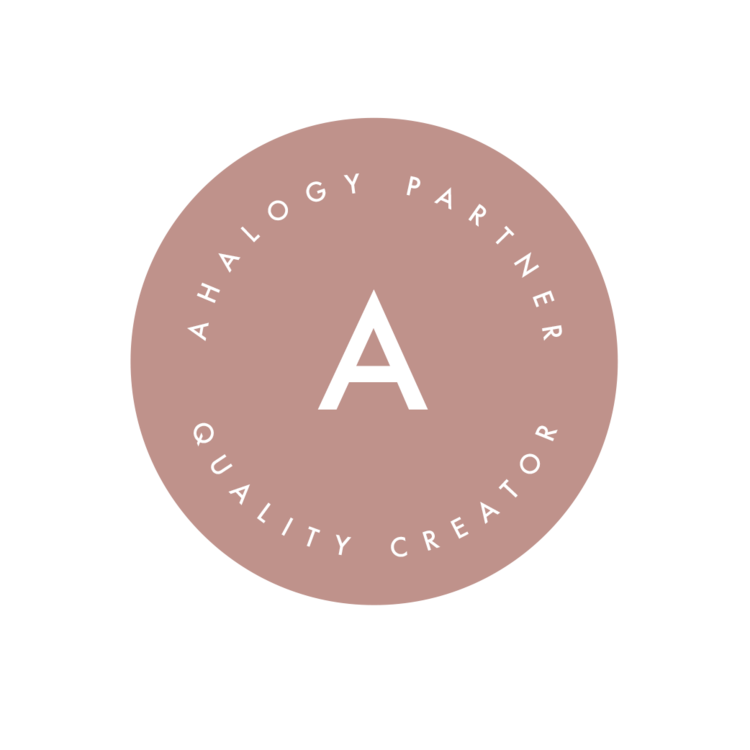 Pinning this to try next year. That is so sweet of you! Thank you Rachael! Pinned over 1 Million Times on Pinterest! 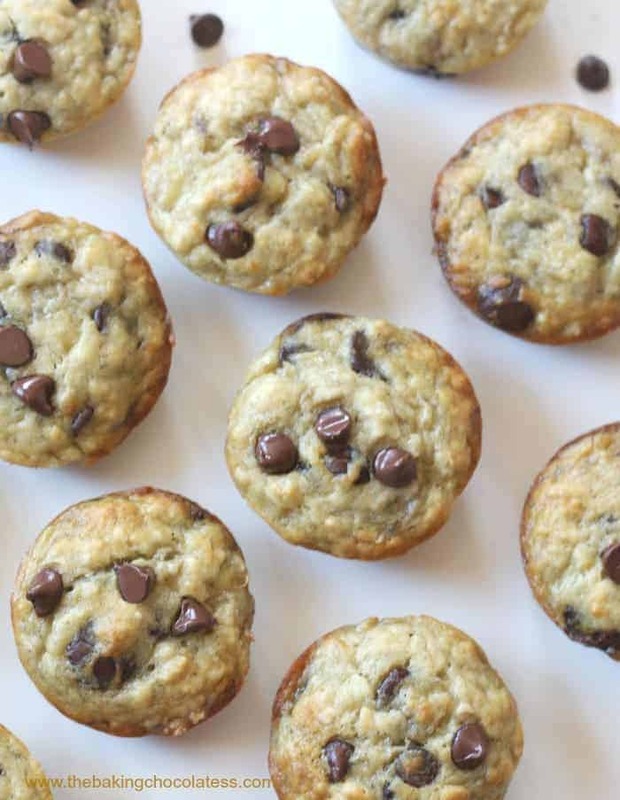 Perfect Banana Chocolate Chip Muffins! 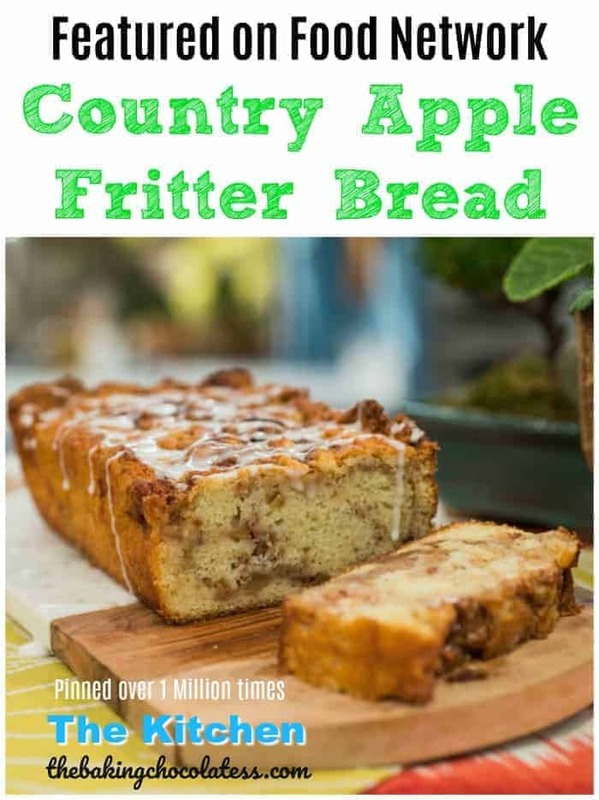 FOLLOW ME & the desserts ON PINTEREST!